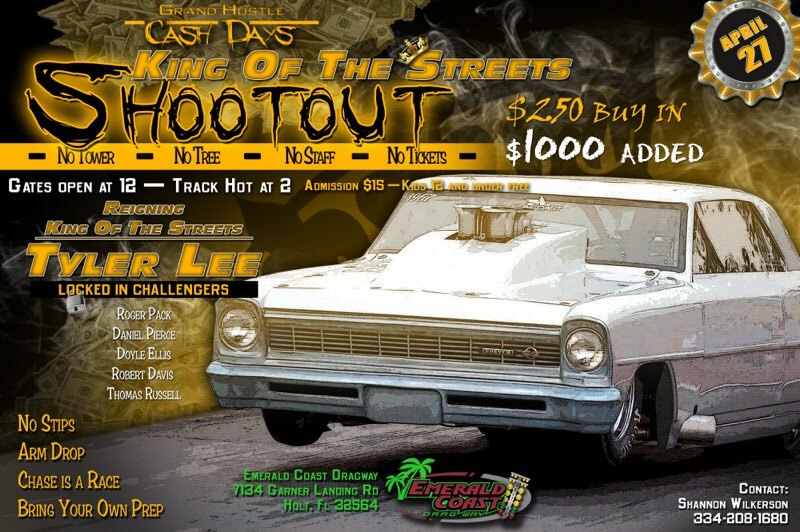 Sunday April 21st, track hot 12PM -5PM. Both lanes fresh scraped after Saturday’s Summit ET Series race, dragged smooth after the scrape and swept clean – NO GLUE. 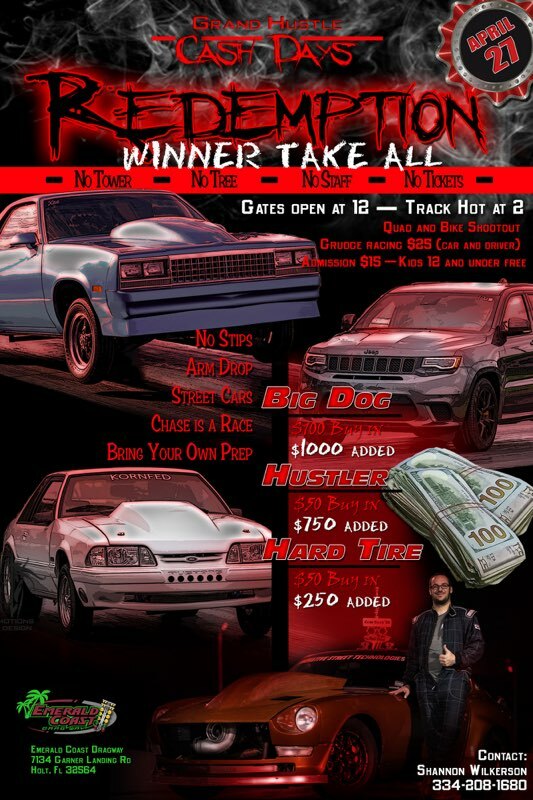 The track conditions will mimic how they’ll be for the following weekend’s Grand Hustle Cash Days. 5 cars minimum, no maximum, $100/car, no media & no spectators unless they’re coming in with the car. Contact Shannon Wilkerson to get on “the list” by texting (preferred) or leaving a voicemail at 3342081680.